Extremly Rare pin, ONLY 50 pieces were made and numbered on the back of each pin. The pin is Brand new. It will be sent in a wrapped bubble envelope. 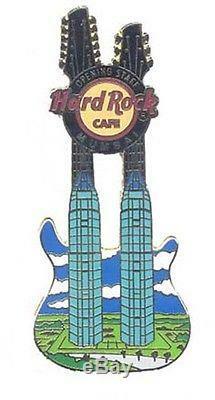 The item "Hard Rock Cafe MUMBAI Grand Opening STAFF MANAGER Tower Guitar pin" is in sale since Wednesday, August 9, 2017.